We know that anything taken to excess is usually not good. Many things which are harmful in large quantities however can benefit health when taken in moderation. After all it is the dose that makes the poison. Coffee for example, is a controversial drink which has its detractors (due to its caffiene content), however the negative aspects of ingesting it are almost always associated with excessive consumption. The purported cardio vascular risks, gastro-intestinal problems and dehydration effects are not borne out by research. The scientific evidence suggests that moderate coffee consumption does not increase the risk of coronary heart disease or a stroke. On the contrary, moderate consumption has been associated with a reduced risk of stroke. Here are 9 evidence based reasons to drink coffee. Several large studies have shown that the people who drink the most coffee tend to live longer and have a reduced risk of diseases such as Alzheimer’s and Diabetes. It may also reduce their risk of a stroke. Research studies from Harvard indicate that coffee may make you happier, reducing the risk of depression by 20% and the risk of suicide by 53% . Several studies show that caffeine can increase fat burning in the body and boost the metabolic rate. Caffeine is one of the very few natural substances that have actually been proven to aid fat burning, hence why majority of commercial fat burners contain it. Several studies show that caffeine can boost the metabolic rate by 3-11%. Other studies indicate caffeine can specifically increase the metabolising of fat, by as much as 10% in obese individuals and 29% in lean people. Type 2 diabetes is a major world health problem, currently afflicting about 300 million people. For some reason, coffee drinkers have a significantly reduced risk of developing type 2 diabetes. The studies show that people who ingest the most coffee have a 23-50% lower risk of getting this disease, one study showing a reduction as high as 67%. According to a very large review that looked at data from 18 studies with a total of 457,922 individuals, each daily cup of coffee was associated with a 7% reduced risk of developing type 2 diabetes.Very good reasons to drink coffee! Caffeine is a mild central nervous stimulant and increases adrenaline levels which optimises the fight or flight response (preparing the body for intense physical effort) and releases fatty acids from the fat cells making them available as fuel. It also leads to significant improvements in physical performance. Caffeine has been shown on average to improve physical performance by 11-12% . It might therefore be prudent to drink a strong cup of coffee about a half an hour before your workout. Evidence indicates that Coffee is protective against both liver and colorectal cancer. Liver cancer is currently the third leading cause of cancer death in the world, whilst colorectal cancer is ranked fourth . 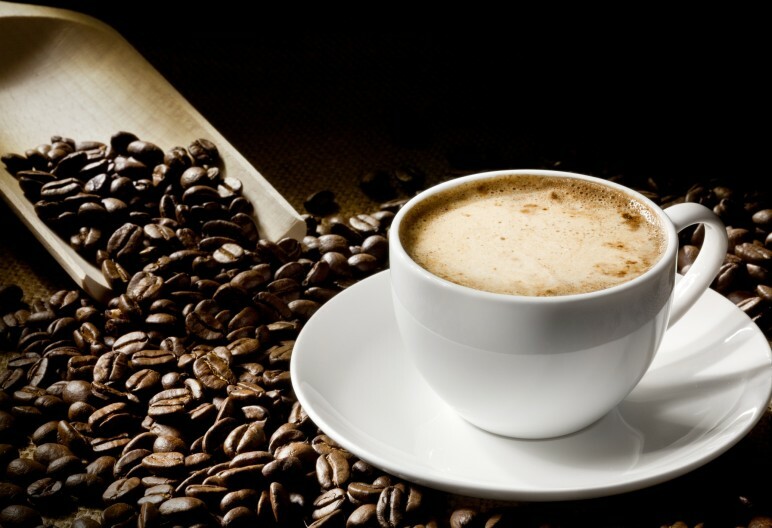 Studies indicate that coffee drinkers have up to a 40% lower risk of developing liver cancer . A study of 489,706 individuals found that those who drank 4-5 cups of coffee per day had a 15% lower risk of developing colorectal cancer. Coffee appears to improve various aspects of brain function. Memory, mood, energy levels, vigilance and reaction times all improve after ingestion of coffee. The effects of antioxidants are well known to be beneficial to health. For people who eat a standard diet, coffee might actually be the healthiest component of their diet providing a large quntity of antioxidants. In fact, studies indicate that many people may obtain more antioxidants from drinking coffee than both fruits and vegetables combined . Coffee may therefore be one of the healthiest beverages available to you. Science increasingly demonstrates that coffee, when consumed in moderation, does have significant health benefits, increasing alertness, well-being and both intellectual and physical endurance performance. From an athletes perspective these are good reasons to drink coffee. Additionally, longstanding caffeine consumption may decrease the risk of pathological conditions such as age-related cognitive decline, Alzheimer’s and Parkinson’s disease. Caffeine does not seem to have significant adverse effects on cardiovascular function or hydration. In the majority of people, consumption of up to five cups of coffee a day (which equates to roughly 400 mg), can be enjoyed and assist a healthy balanced diet and an active lifestyle. Caffeine, mental health, and psychiatric disorders. Metabolic effects of caffeine in humans – lipid oxidation or futile cycling. Effects of caffeine on plasma free fatty acids, urinary catecholamines, and drug binding.